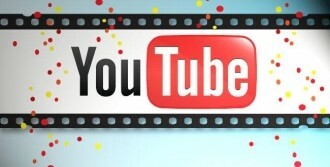 YouTube has announced that effective immediately, anyone can start making money using the video-sharing website. The “partner” program that previously allowed a select few to monetize their videos has opened its doors to the general public, granted you meet a few basic criteria. The program allows users to infuse their videos with Google ads from the AdSense program and retain 55 percent of the revenue earned from each video. The changes are going into effect today for the following countries: Argentina, Australia, Brazil, Canada, Colombia, Czech Republic, France, Germany, Ireland, Israel, Japan, Mexico, Netherlands, New Zealand, Poland, South Africa, Spain, Sweden, United Kingdom and the United States. To get started, you need to enable the feature on your account and successfully monetize at least one video. You will additionally need to associate an AdSense account with your YouTube account. Payments will be processed and paid through the AdSense program once you reach your local payment threshold. Note that custom thumbnails and banners aren’t initially available for newly-made partners but will be enabled over time. So, what exactly does this mean for the average person? We suspect there will be a huge influx of ad-infused videos while only a few people with extremely successful videos will make enough money for the deal to be worth their while. Odds are, however, that most with a popular channel are already generating an extra income stream using the partner service.